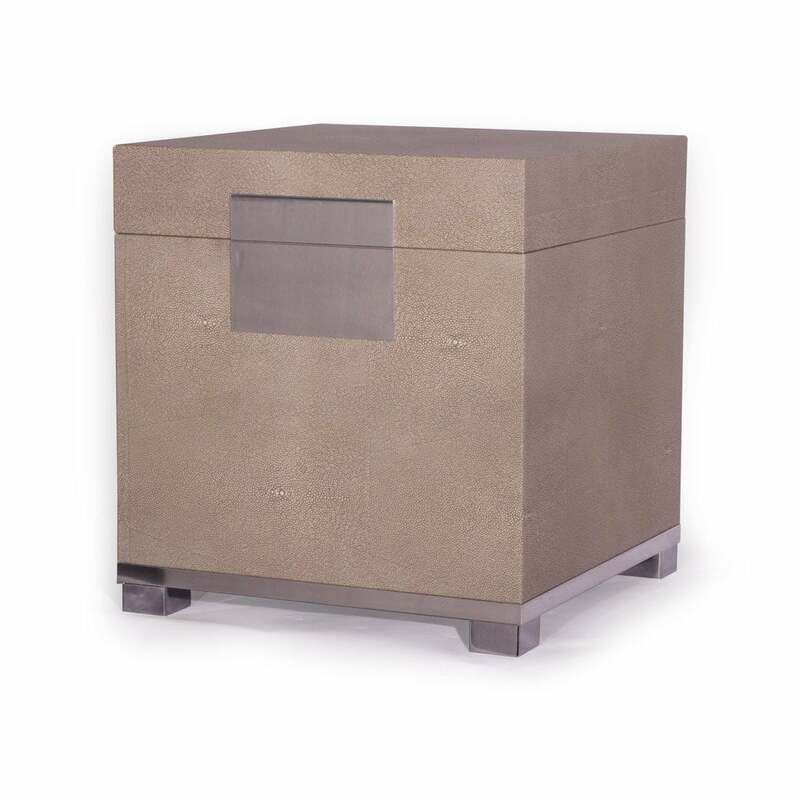 Contemporary style leather storage cube with chrome face plate, trim and feet. The hinged cube is finished internally with faux suede and features a soft close mechanism. as with all Simpsons pieces, this storage cube has been handmade in England.